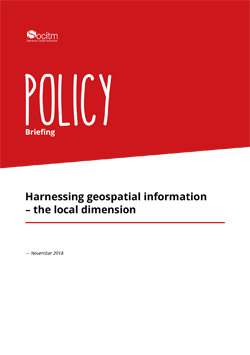 Geospatial information – new location data sources, analytics and intelligence – is a critical resource in enabling digital transformation in local government and public services. Use of spatially referenced data is key to evidence-based decision making, modernising operational practice and improving the experience for service users across the full range of local authority activities. Geographically referenced data also adds a new dimension to predictive analysis i.e. using data to predict future behaviour.